Seasonal Affective Disorder, or SAD for short, is a type of depression that occurs during the winter. This type of depression, which affects more than 30 million Americans, is likely related to the changes in the amount of daylight to which a person is exposed. It also involves the circadian rhythm, which is our body’s internal clock that regulates sleep-wake cycles, among other internal functions. For most people, SAD is mild with symptoms ranging from fatigue to the “winter blues.” For many others, SAD may even interfere with daily activities. Optimize Vitamin D levels: Called the “sunshine vitamin,” vitamin D levels plummet during the winter in people who live north of the Atlanta-Los Angeles latitude. This vitamin is critical to the immune system, bone health, cancer prevention, heart health, and may improve mood. Most people will need to supplement at higher doses than the usual recommended daily allowance (RDA) of 600 IU per day to maintain optimal blood levels of 50-70 ng/mL. 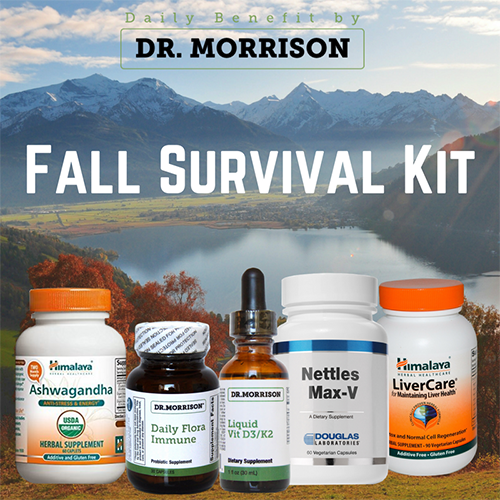 We recommend testing your levels ahead of cold and flu season, and adjusting your daily vitamin D3/K2 dose accordingly. A typical recommended dose may range between 2,000 IU per day to 5,000 IU per day. Get Direct Sunlight Daily: Since sunlight exposure is key to avoiding SAD, be sure to get some sun each day. Going for a brisk walk during lunch or in between meetings is an easy way to catch some mid-day rays. Try not to wear sunglasses all the time to allow your brain and the sunshine to sync and reset your circadian rhythm. Get Adequate Sleep…but not too much: SAD can make people feel more sluggish and sleepy, but too much sleep can make you even more tired and can be a sign of depression itself. Aim for 8 hours per night. Consider Light Therapy: Light therapy uses a special kind of light that mimics the sun’s light spectrum and can be used at home or work. People report feeling more energetic with improved mood after using these kinds of lights at home, especially if used first thing in the morning when you wake up. For SAD, we recommend using a 10,000-lux lightbox early in the morning for about 20-30 minutes. Simply sit or work about two feet from the lightbox and let the light do its work (but don’t look directly into the lamp). 5,000-lux lightboxes can also be effective when used for longer daily sessions. These strategies will put you on your way to conquering SAD. But if you still find yourself extra tired and feeling down, there are some supplements that can help improve energy and mood. Supplements like 5-HTP, Theanine and adrenal support blends can be helpful in certain circumstances. To find the right product for you, consult with your doctor or one of our nutritionists for personalized recommendations.